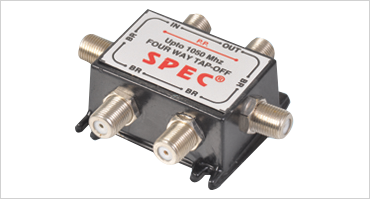 Tape and Splitters are passive distribution transmission devices for -5 ˜ 1000MHz bidirection transmission systems. SMT is used to protect internal lines. Optimal design is adopted to improve flatness in Band and Return Loss. It is characterised by low insertion loss small spliter deviation.